Austin’s most recommended window tint company is Sun Tint. We are a locally established, owner operated company that caters to our unique community that we all know as Austin, Texas. We at Sun Tint strive to maintain the high level of exceptional customer service and top quality workmanship that we’ve been known for since 1982. We offer all types of window film & window tint for vehicles, homes & businesses in the form of solar control, safety & security, privacy & decorative films along with paint protection film for vehicles including but not limited to cars, trucks & RVs. 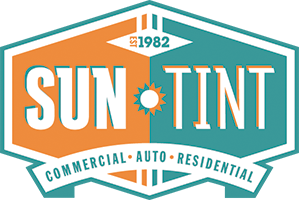 Our Pledge to You: Here at Sun Tint, we promise to provide better quality & service than any of our competitors, to find and keep highly skilled employees committed to holding our customers & their property in the highest esteem and promoting an environment of moral business practices, self-improvement, teamwork, accountability & innovation. Sun Tint will continue to distinguish itself as the premier provider of window film & window tint products, clear paint protection and other related products & services in the areas we serve. Great stuff keep up the good work! !